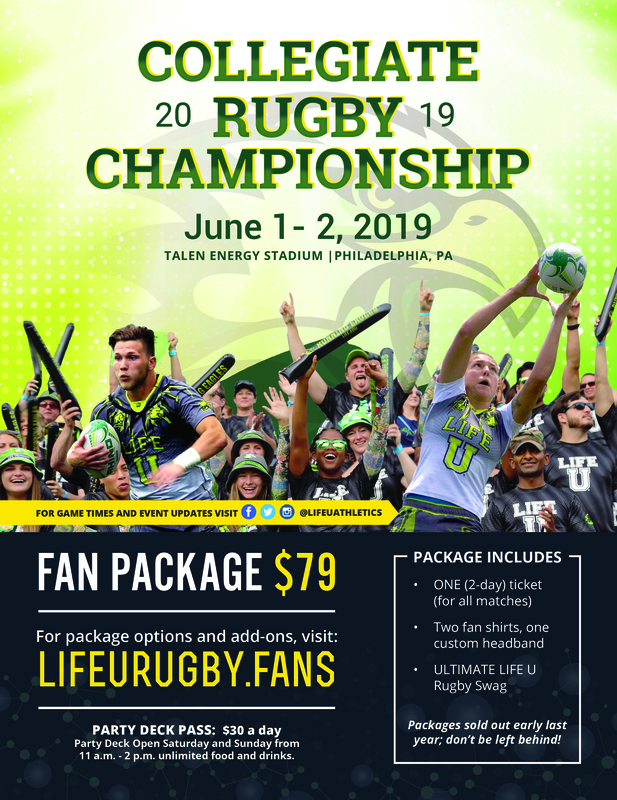 Buy packages at LifeURugby.Fans today! 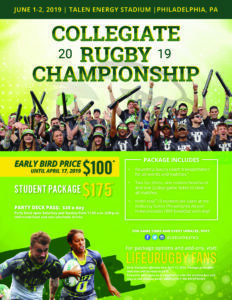 The CRC is right around the corner (June 1-2, 2019), and Life U’s Men’s and Women’s rugby squads are looking to take home the titles in 2019. 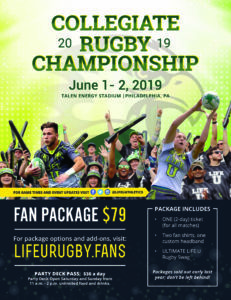 Now is the time to secure your spots in Philly to cheer the Running Eagles on with the best fan base in rugby. Ultimate Life U Rugby swag. Hotel stay (3 students per suite) at the Embassy Suites Philadelphia Airport Hotel (includes free breakfast each day). 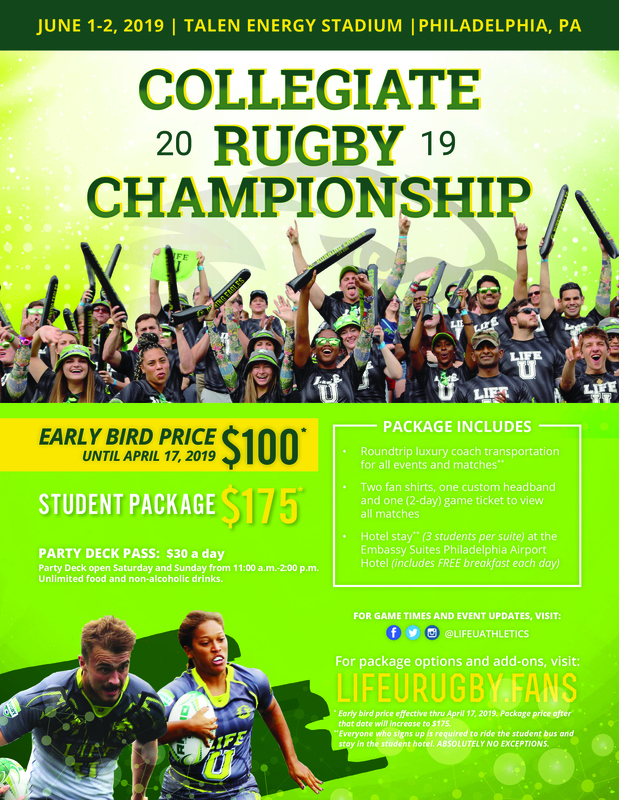 Also available for both packages as an add-on, is a $30 per day Party Deck pass, which is open both match days from 11:00 a.m.-2:00 p.m. and includes unlimited food and non-alcoholic drinks.